At the end of last fall, Ecumenical and Interfaith Programs requested your nomination for the Jerry Israel Service Award. We were happy to present awards to Dr. Anita Thomas, Dean of the College of Applied Behavioral Sciences and Natalie Benson, Chapel Steward of Interfaith at our Annual Interfaith Peace Service. Please see below the commendations shared during the presentation of their awards. The Jerry Israel Service Award is named after our seventh university president who served faithfully from 1998-2005. Dr. Israel was known for encouraging students, faculty, and staff to engage one another in searching conversations (with honesty, respect, and humility) in the midst of living out their religious convictions, each aspiring to clarity and understanding in the mutual quest for truth. Therefore, this honor will always be bestowed upon members of the UIndy community who display exceptional commitment to service in an interfaith context. I am thrilled to present the award today to two very deserving UIndy servants. 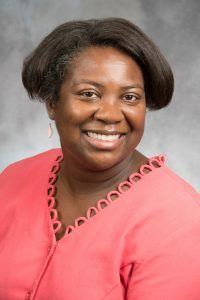 Dr. Anita Thomas has become well known within our campus community for her honest and strong leadership, as well as her compassion, understanding, and huge heart for students, staff, and faculty. Though her daily responsibilities are quite weighty as a dean, she always makes time to support the programs and interests of Ecumenical and Interfaith Programs. Dr. Anita Thomas has been a speaker in chapel, but also consulted with our office as we worked to shape and launch our Monday Chapel Service, helping us create a meaningful and authentic Christian worship experience for African American students. In addition, she has also faithfully served as a faculty mentor to two of our Interfaith Scholars, providing insight, guidance, and a listening ear as they wrestle with the concepts related to interfaith work and try to find their own place in it. She has also been a presenter at our Scholars retreat, leading our student leaders in a very lively book discussion, challenging their worldview, preparing them for greater service. Always the student advocate, she works endlessly in support of students and the student experience, and is beloved by many. She is an attentive and caring member of our community, often found checking on people on our campus who’ve experienced difficult times, sharing encouraging words, pushing them to keep going. In her work and in her interactions on campus she beautifully and effortlessly models those interfaith values of honesty, respect, and humility, and epitomizes our motto of “education for service.” Please join us in congratulating, Dr. Anita Thomas, a recipient of the Jerry Israel Interfaith Service Award. Natalie Benson has truly been a force on our campus for interfaith cooperation. 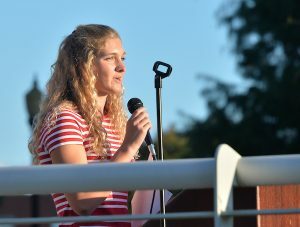 In a few short years, she has gone from demonstrating just a budding interest in interfaith work as a freshman, to owning and articulating a fully blossomed philosophy, ethic, and realized commitment to the same. She has worked tirelessly for the past three years to build the Interfaith Scholars Program as our Chapel Steward for Interfaith. In that role she worked hard on recruiting new scholars, connecting with the new scholars we recruit each year, nurturing their interest in interfaith work, and modeling the best of what it means to be a religious leader who takes seriously the charge to love neighbor. She is innovator and creator of both our Annual Interfaith 9/11 Vigil and our Interfaith Winter Festival. 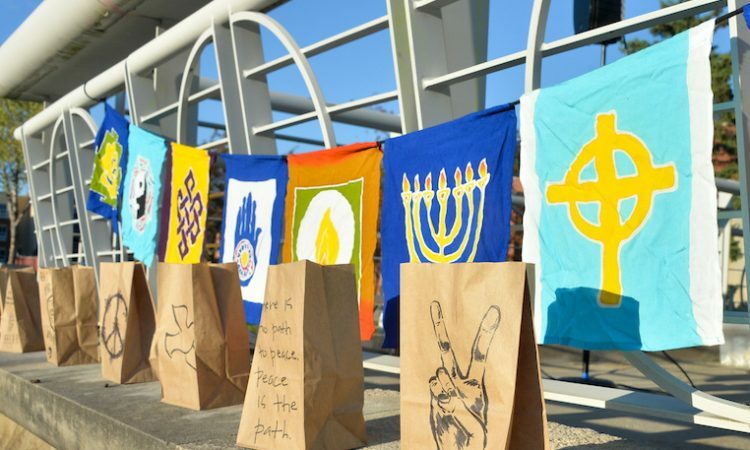 She was even recognized nationally, when she was selected by the Interfaith Youth Core as an Interfaith Coach, working with peers to develop valuable training materials and experiences for college students nationwide doing interfaith work. Under Natalie’s leadership the Interfaith Scholars were also recognized nationally by IFYC’s Better Together Awards, receiving the 1st runner up Campus Impact Award for 2017. Natalie Benson’s service on this campus is undeniable. She has built important partnerships with professors, RSOs, and a host of her peers that have helped to cultivate religious literacy throughout our university community. She has been a leader, partner, champion, and a co-laborer in our ongoing efforts to further the cause of interfaith. Please join us in celebrating our recipient of the Jerry Israel Interfaith Service Award, Natalie Benson.